In March this year Julie Baldus was fortunate enough to win £500 worth of design time from the brilliant Stilo Design and Branding studio. 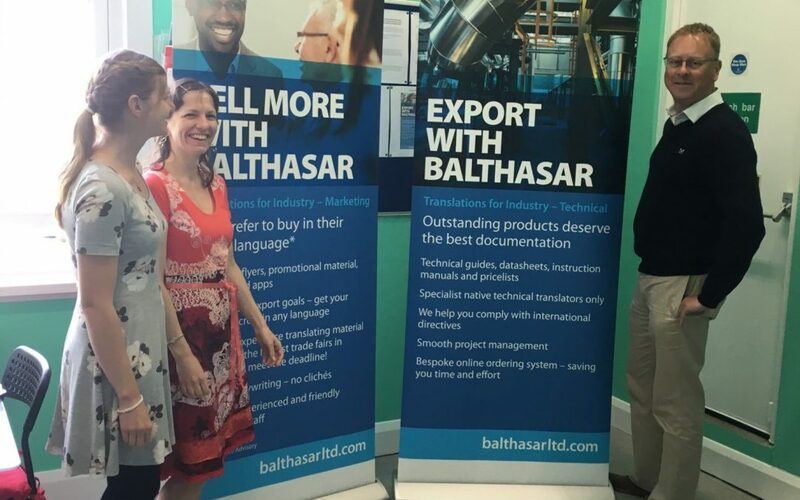 Now Ian has delivered our exhibition stands on time as scheduled and the team at Balthasar are delighted with them. Working with Ian was so easy and everything went to plan. He quickly understood what our aims were as a company and how we wanted to represent ourselves. As a cutting edge, professional language service provider for industry we wanted to get our message across with a punch and Ian helped us to do just that. We can’t wait to get to some exhibitions now, to show them off!